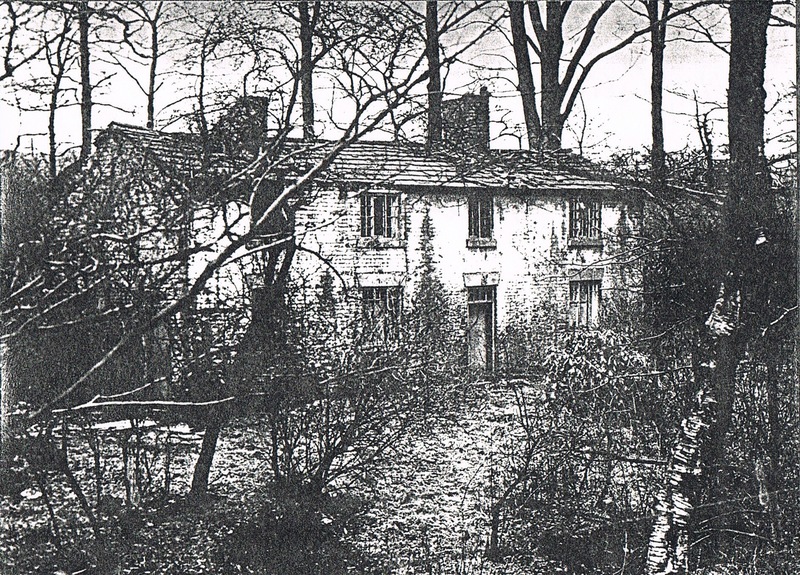 The third year of MAS investigations of the Millers Cottage at Hopwood finishes on 23rd October. 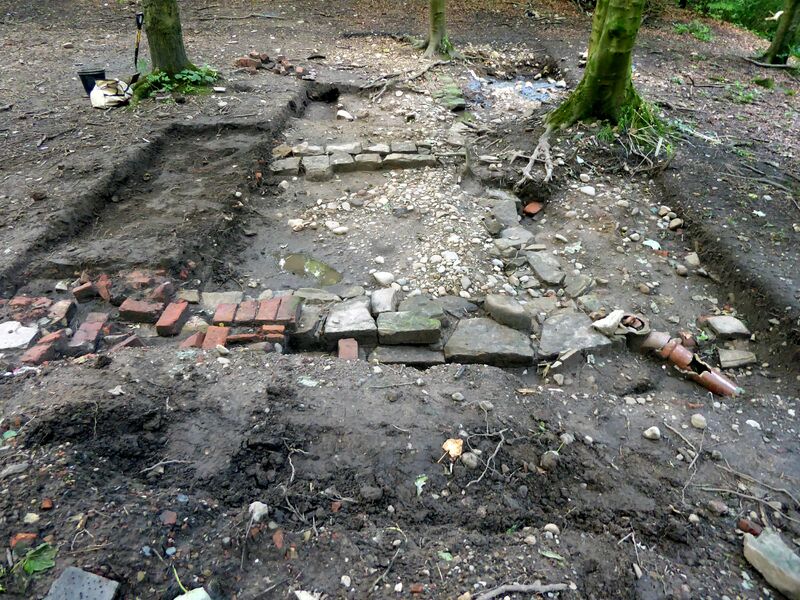 This year, over 30 MAS members and volunteers have scraped a trowel over this delightful woodland site hidden close to the Hopwood Manor house. 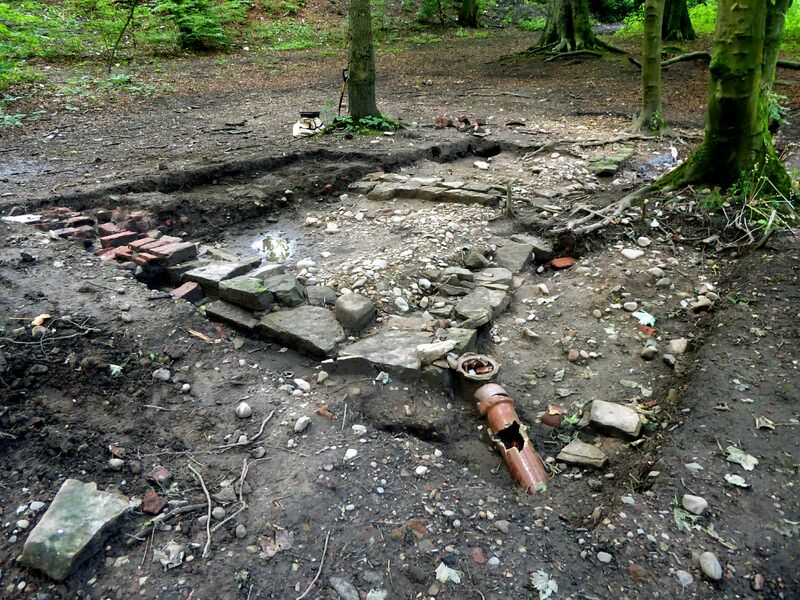 Most of the 19th century building foundations, drains and garden features have been meticulously recorded however features that predate the cottage are know beginning to appear. 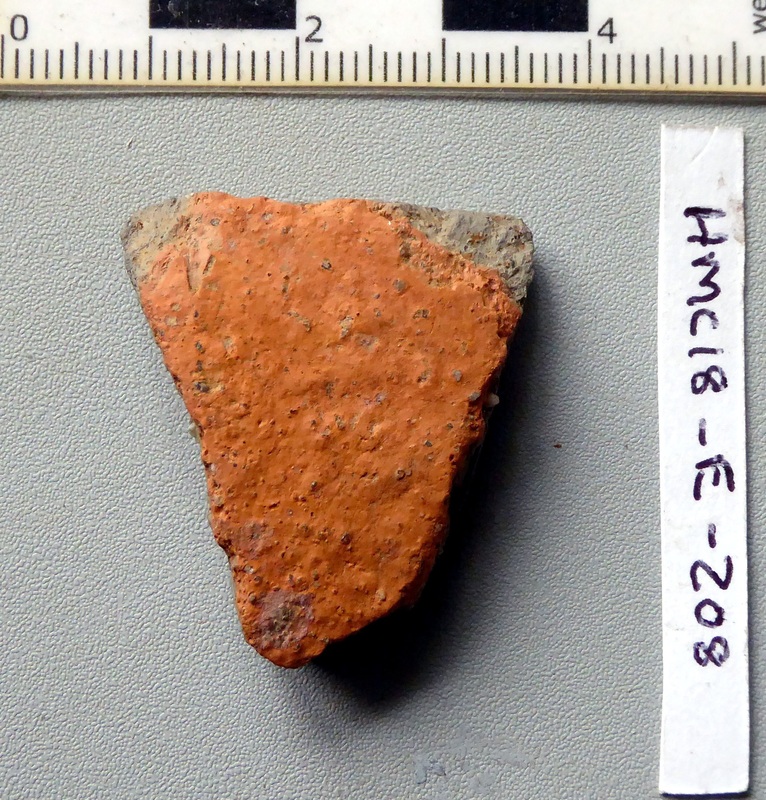 Most recently, a shard of broken pottery was found which our site director Robert Huddart believes to be medieval, possibly from the 13 or 14th century. Hopefully the work will continue next year. Each Tuesday this summer we have had 4 or 5 people attending our archaeological investigation of the old Millers Cottage in Hopwood Woods. The dig is managed by our site director Robert Huddart who organises similar activity for the Bury Archaeological Group on Wednesdays. This is his latest update on the project. 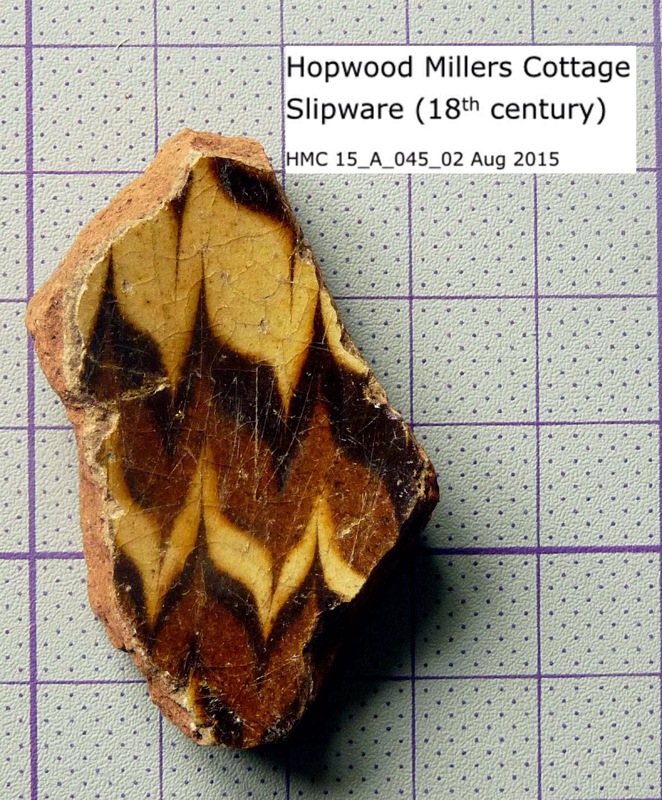 This is the third season of excavation at Hopwood Millers Cottage. 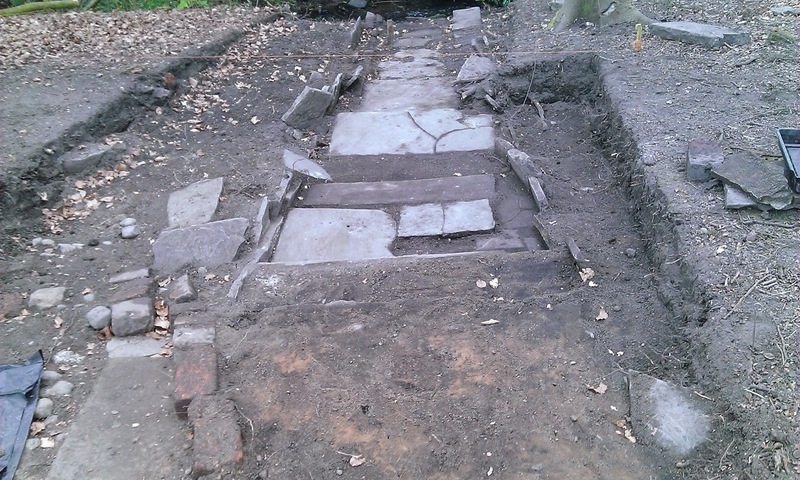 In 2015 and 2016 we uncovered the western and central parts of the 18th century building On the north side of the cottage we found garden features and a pathway leading to a footbridge, The footbridge crossed the Trub brook enabling access to a spring on the north bank. The garden features, path and bridge date to the late 19th and early 20th centuries. This season we are excavating the eastern end of the site. 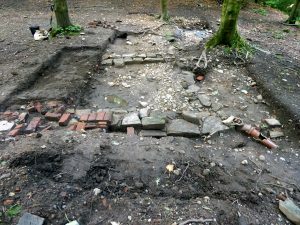 The north-eastern corner of the cottage has been located enabling us to determine the size of the cottage. The building measured about 15 metres east-west by 4.5 metres north south. The ground floor consisted of two living rooms with internal measurements of approximately 4 metres by 4 metres. These rooms are seperated from each other by a lobby area 3 metres wide. A brick built extension on the south side of the building is thought to be the kitchen area. 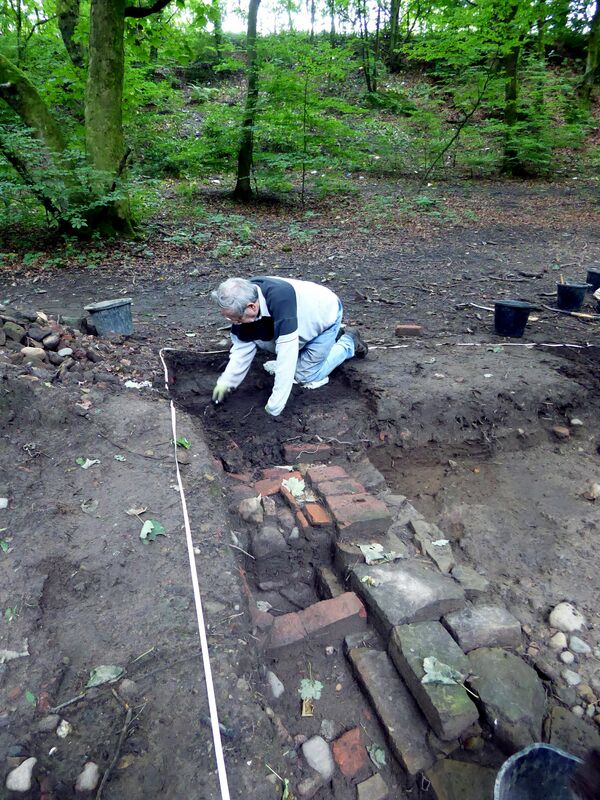 At the east end of the building we have started to uncover a much smaller room about 2.5 metres wide. A path with steps runs along the eastern gable of the cottage. More evidence of the drainage system has been revealed. 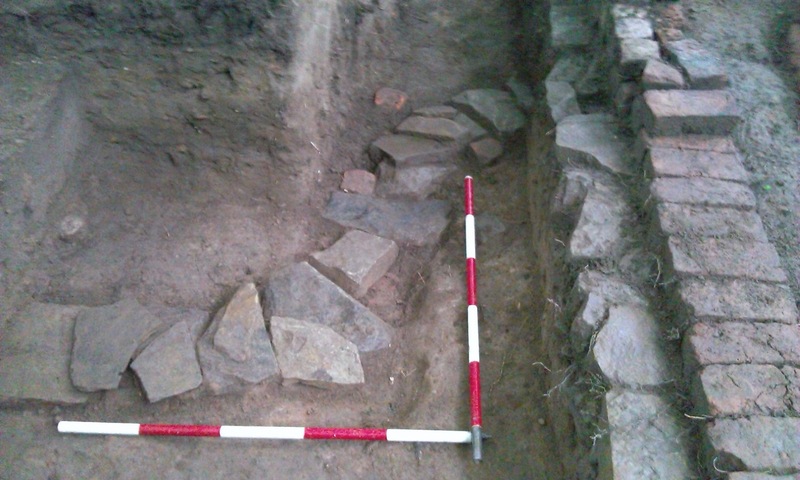 Excavation continues to investigate an area of cobbles at the north side of the building which predates the cottage. The dig will continue until around the end of October. 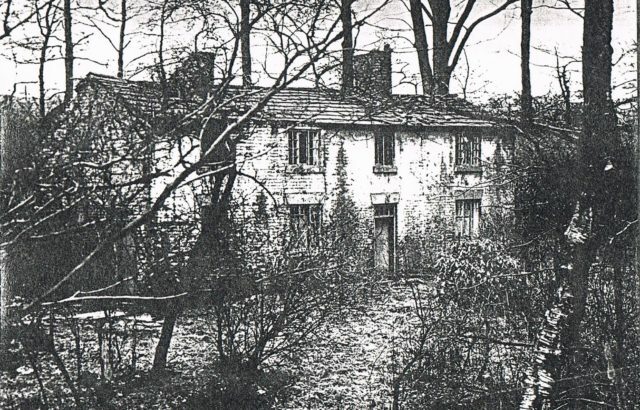 The weekly MAS investigation of Hopwood Millers Cottage is closed down for the winter but will start up again in Spring 2017. The attached plan produced by our dig director Robert Huddart, shows the progress in recording the 19th and 20th century foundations so far. 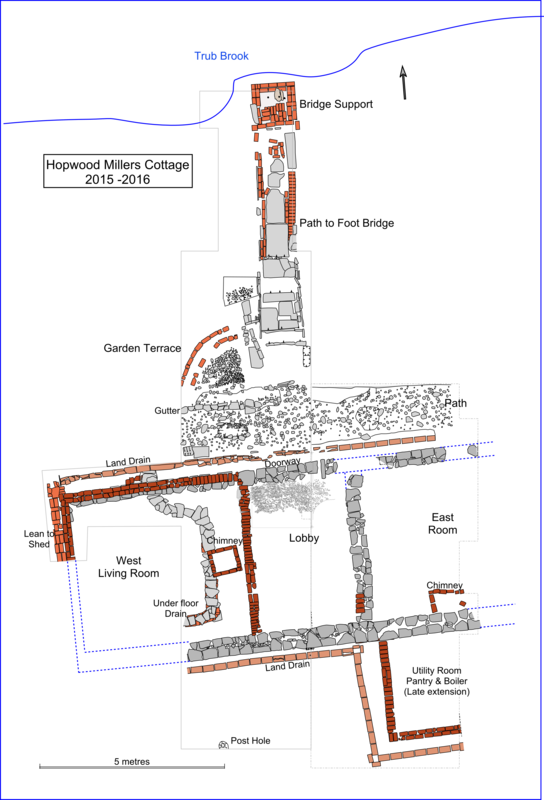 Next year we should complete the rest of the structure and investigate an outbuilding identified on old maps. 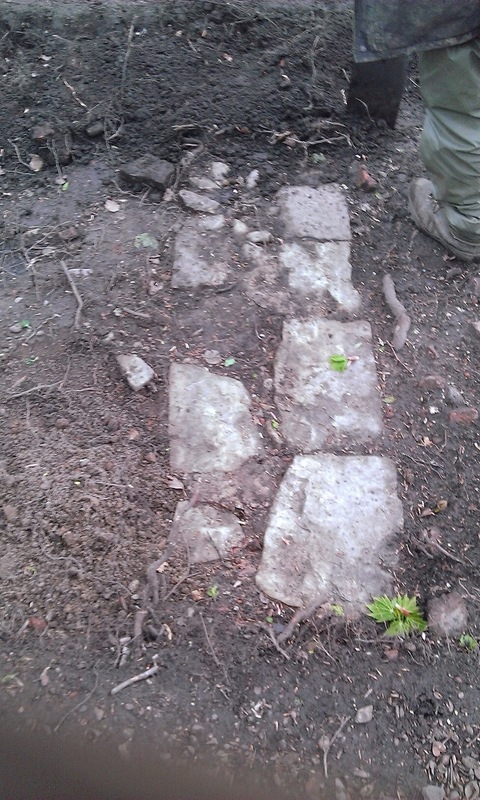 We have recently identified a cobbled surface on the site with evidence of a much earlier occupation. 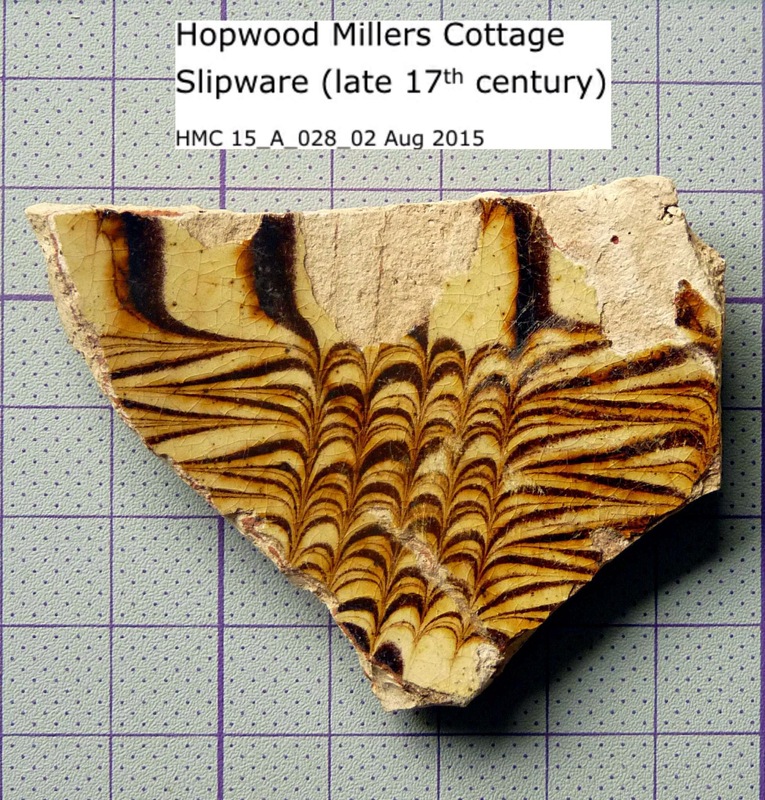 MAS Weekend Excavation at Hopwood Millers Cottage Saturday 6th and Sunday 7th August 2016. 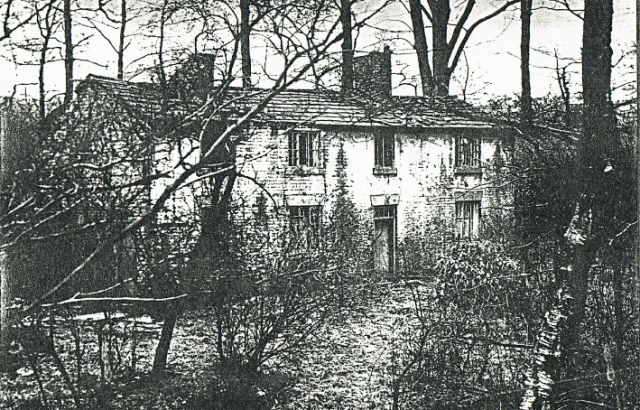 The Millers House dates to the 18thcentury. Last year we opened a trench at the western end of the building and found the well preserved remains of room complete with fireplace. On the north side of the building a path from the front door leads to a footbridge which had crossed the Trub Brook to the front door of the cottage. 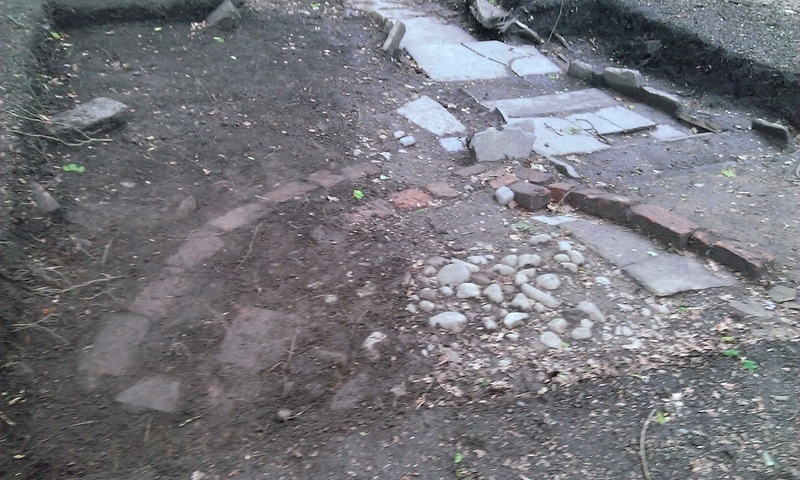 There were also garden features including a cobbled terrace with brick edging. Towards the end of the dig a small area of cobbling was discovered which suggest the possibility of an even earlier building on the site. This year we are looking at the central section of the cottage and have already started to find more walls and surfaces. The dig will run 10 am until 3.30 pm each day. Everyone is welcome. No previous experience is necessary and training is provided on site. 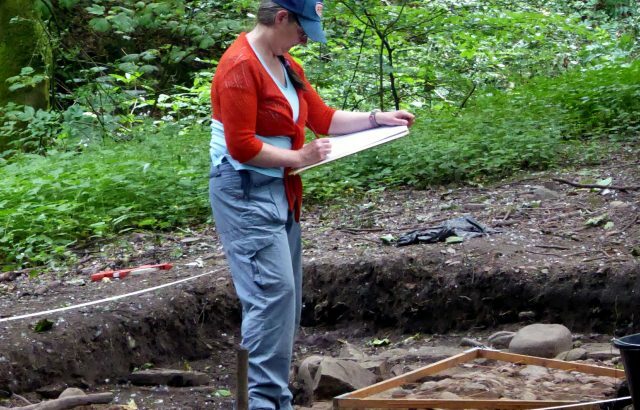 If you would like to take part and do not want to dig then there are plenty of other ways in which you can contribute to the excavation including recording, surveying and small finds processing. chairman.mas@live.co.uk or phoning Cliff on 07740 351814. 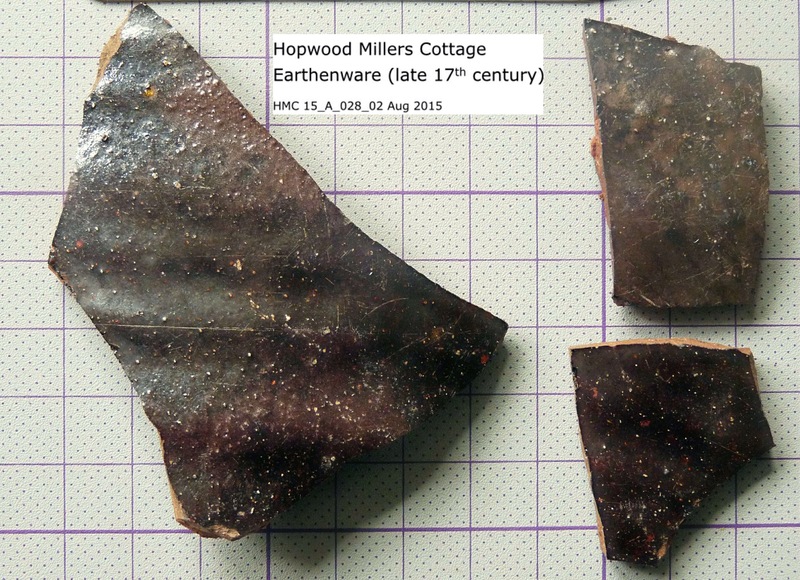 MAS have completed two reports on their recent activities at Hopwood Millers Cottage 2015 and the pavement investigation at the Old Boar’s Head 2016. Whilst we don’t expect them to make a best seller list any time soon, they are useful reference documents for people interested in Middleton’s past. Our thanks go to Robert Huddart and Cliff Ivers for producing them. 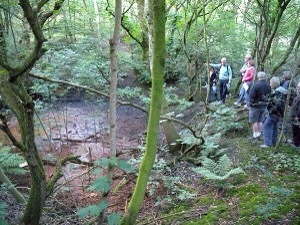 We are re-starting the regular Tuesday dig in Hopwood Woods on Tuesday 22 September. Hopefully we can complete the first half the cottage excavation before the winter sets in. 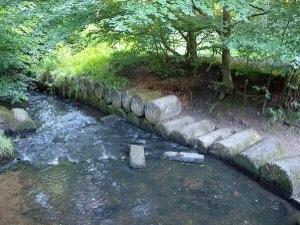 If you would like to join in, meet outside the sports pavilion at 9-15 or look for us 50m downstream of the water mill. Email treasurer.mas@live.co.uk for more information. 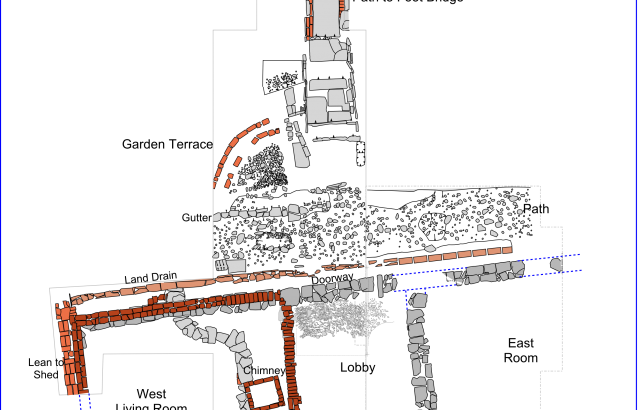 The evidence so far would suggest 3 or possibly 4 major phases of rebuilding on the site. The problem is that some of the brick has been reused so that the age of the brick doesn’t necessarily reflect the age of the structure. 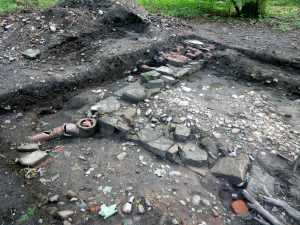 For example the fireplace (now destroyed by vandals) contained 18th/early 19th century hand made brick together with some modern machine made brick and at least one Tudor dimension brick. The hand made brick dimensions from the Millers Cottage are averaging 22cm x 11cm x 7 cm. We haven’t examined the internal drain brick properly yet but it is likely that the this was also reused like the capstones. Similarly I suspect that some of the lime mortar is due to re-pointing and may not help date the wall. We have reused roof stones to cap the internal drain structure and fragments from other parts of the site. Also large quantities of dressed slate which suggests that the earlier stone roof was later replaced with slate. The stone foundation belongs to the earliest phase (so far) and may well have supported a timber frame building, We now have some pottery evidence to support this. The re-deposited fill from the interior of the building contained 3 sherds of iron glazed earthenware and a sherd of slipware all dating from the late 17th century. So we have evidence of occupation and in the 17th century the building is much more likely to have been timber framed than of stone or brick. 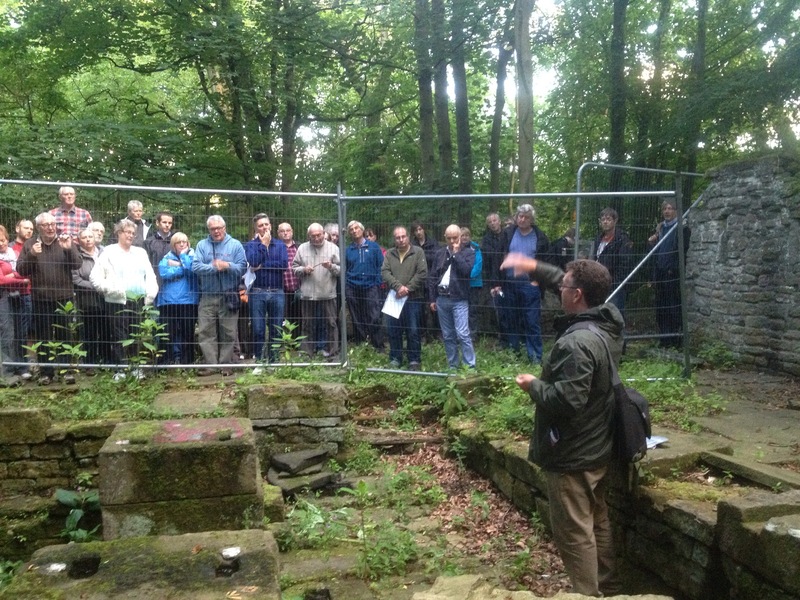 Over 35 members and guest attended the MAS annual guided heritage tour. This was led by Geoff Wellens who has a fondness for Hopwood Clough obviously nurtured as a young boy. He showed us his favourite haunts reminising about the man who had a clock in his shed. 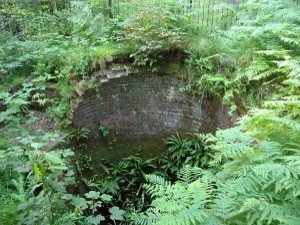 The Clough has remnants of C19 coal mine with what looks like a pit head and stone building. Further upstream Geoff pointed out Some WW2 tank traps that were used to shore up the river bank. Bob Huddart explained the ongoing investigation of the millers cottage followed by Cliff Ivers demonstrating how the corn mill worked. 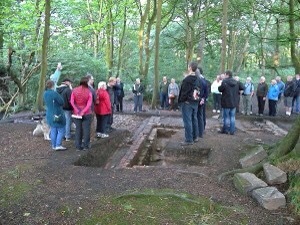 Geoff took the party up to Lords Wood and highlighted the ice house whilst explaining how it was used. The tour ended in time to see a glorious sunset over the Hopwood Chapel. We are having so much fun on the Tuesday session, it has been decided to run a weekend dig on Saturday and Sunday 20/21 June 2015. 9.30 -4.0 PM This will give our working members the chance to experience troweling and recording some of the fantastic features we have found there. Please email treasurer.mas@live.co.uk or ring Cliff on 07740351814 if you would like to book a place.